While you may not have heard of Bluechain yet, we’ve been busy talking to and sharing our vision with the payments industry. In the past 60 days, I’ve logged close to 100,000 miles across four continents and have talked with dozens of tier I and II banks, central banks, regulators, payment service providers and merchants to get a pulse on the challenges that the industry faces and to share the innovations we’re working on. I was especially interested to discover that the challenges and issues facing the industry are the same everywhere. When asked about how the industry was transitioning to next-gen payments technologies, senior executives of financial institutions, both in industrialized nations and emerging economies, said they were either concerned about or disappointed with recent market innovations. Many expressed concern about the confusion in the market caused by disruptive technologies, which largely ignored legacy systems and the established payments infrastructure. While others expressed disappointment in seeing only incremental changes in an industry that has lacked significant change in the last 25 years. Drilling down a little deeper, I learned that there are three key areas of concern: controlling risk, driving mobile adoption, and lowering fees. Interestingly, in speaking with acquirer banks, fraud was not the top-of-mind concern. Most executives felt that the banks have good fraud controls in place, to the extent that it was not material to their bottom line. This was at odds with the views of the central banks, regulators, issuer banks, and merchants, who indicated that fraud was their number one concern. With over US$16.3 billion in losses from card fraud worldwide and growing at over 15% per year (Nilson Report), fraud still remains a critical risk for regulators, issuers, and users, if not for acquirers. I also heard a lot about the national sovereignty of consumer card data. In particular, how central banks can protect consumer card data by keeping high-risk information within their borders on domestic transactions. There was also a lot of discussion about the increasing levels of card-not-present (CNP) fraud in online transactions, and the fragmented and mostly ineffective attempts by industry to fix what is clearly a very fixable problem. One banking executive claimed that only 1% of all payments are currently done on a mobile device. Although customer installations of bank and retail apps, e-wallets and third-party payment platforms like PayPal, Stripe and Square have been encouraging, the actual adoption of mobile payments continues to disappoint. A Gallup Poll survey found that 13% of smartphone owners have installed a digital wallet app, but 76% of wallet users have never actually used it. Of the non-users, 55% indicated that security was their primary concern. Perceptions matter. Despite banks feeling that security is under control, consumers’ perceptions of security and the potential card fraud has significant impact on adoption. On the plus side, LTP estimates that mobile payments will grow at a CAGR of 25%. In developing countries and emerging economies, my discussions revolved around the unbanked and cashless society. We have read about India’s move to rein in the use of high-denomination banknotes, but the bigger story is the high adoption rates of mobile payment technologies achieved in a number of emerging economies in Africa and Asia. Cost reduction was a universal topic of interest across all aspects of a transaction. The market power and high cost of the international card schemes was the top consideration. Central banks and domestic banks were conscious of the fees earned by the card schemes on domestic debit card transactions. In particular, central banks were eager to explore options for deploying a domestic payment scheme, and the domestic banks were eager to explore options for more efficient processing of “on-us” transactions. With e-commerce becoming a larger part of the global economy, various conversations revolved around justifying the significant difference between charges for card-not-present, card-present, and card-on-file transactions when the risk and cost of fraud was being borne by the merchant, not the acquirer or the card scheme. Issuers expressed concerns about the rising cost of card management, especially the cost of issuing new physical cards due to fraud or lost cards and the associated customer service overheads. Issuer banks and service partners are looking at how mobile apps and the online payment experience can be improved to minimize card management costs. Significant changes to the payments industry are required to handle these three key areas of concern. 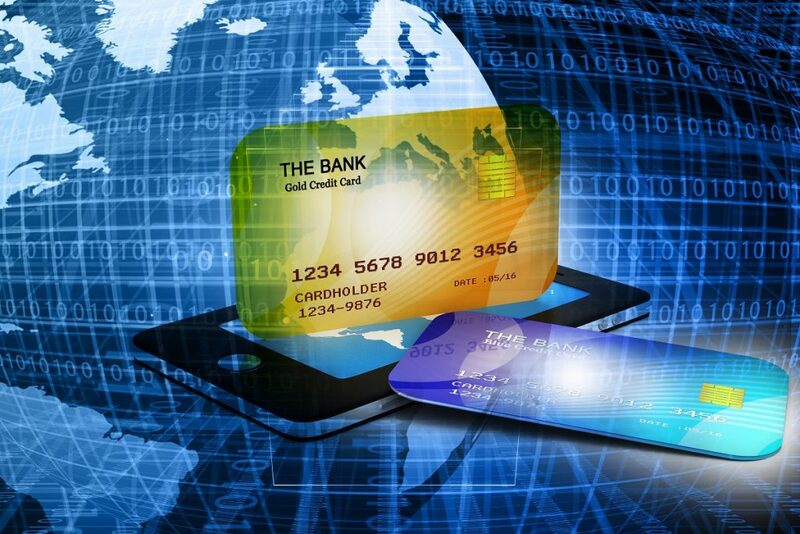 Plastic credit cards were never meant for today’s world of online and mobile transactions. The accessibility of account data printed on plastic cards has created massive opportunities for fraud. The card schemes cannot reduce the risk of CNP fraud without drastically changing their infrastructure and have only made token attempts at securing online transactions. And the other Fintech innovators, such as Square, PayPal, Apple Pay and Stripe, deliver limited or no advances in securing online payments. Follow Bluechain over the coming months for some exciting announcements and innovative technologies that will provide a secure payment scheme and a unified user experience to tackle these issues.